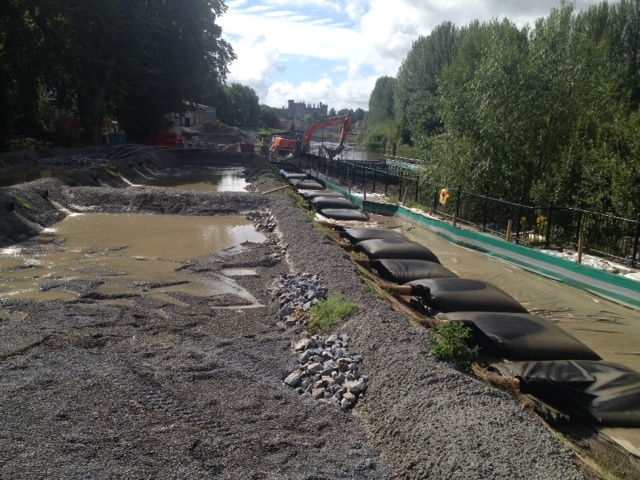 With the ever increasing volume of Civil Engineering projects in Environmental Sensitive Locations the draining of heavily silt contaminated water can be an issue. There is a growing concern in relation to silt contamination in our local rivers as its negative impact is becoming more apparent on eco-systems. 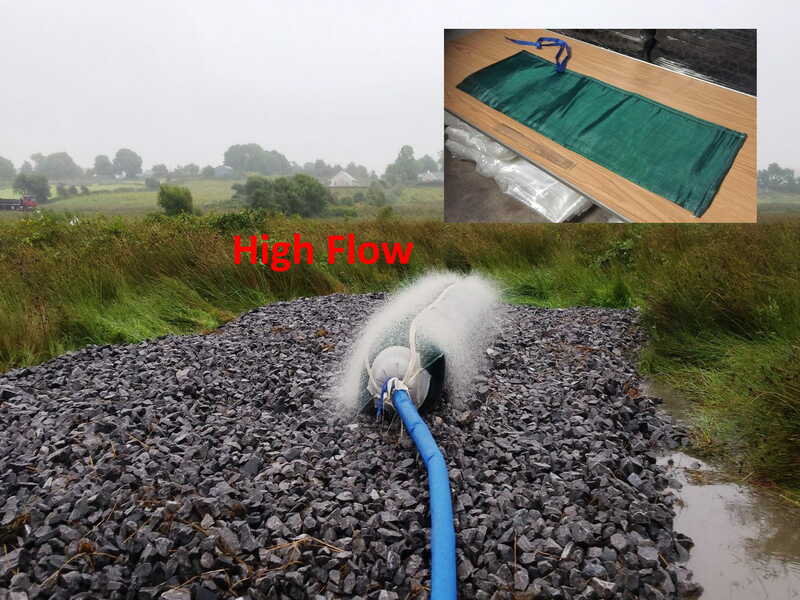 The Dewatering Bag provides an economical and effective solution. By pumping water into the bag, contaminants are trapped and filtered so only water escapes to the ground below or nearby storm drains. Detains sediment, offering a combination of benefits not available in alternative silt dewatering dirt bags. Standard and High Flow designs available depending on site specifics. Contributes to the ever improving standards associated with environmental best practices. 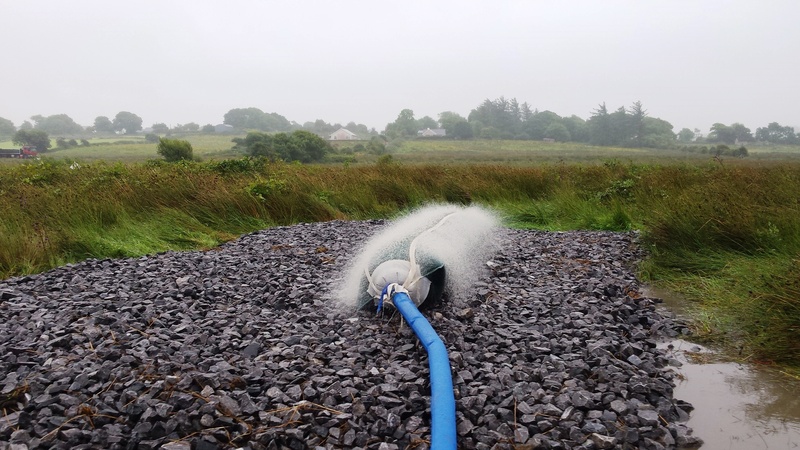 Silt De-Watering bags are designed to retain sediment and silt, while allowing the remaining clear water to flow freely back into the environmental surrounds. The process is very straight forward, however consideration does need to be given to the size of pumps being used and in some cases the quality or make up of the waters content. SSI will lend advice on this based on experience gained from working on various civil projects. 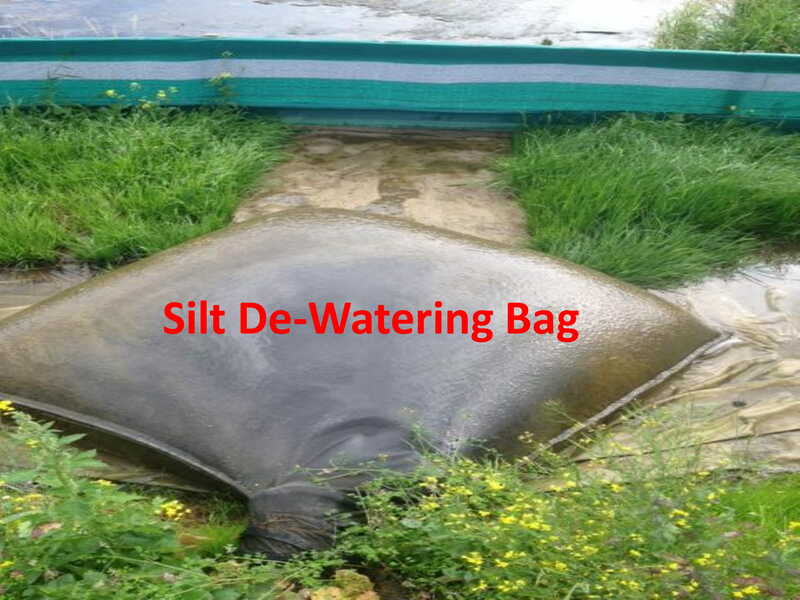 The actual setup and engagement of Silt De-Watering Bags is straight forward. Set up the Dewatering Bag in location where works are to take place. This can include placement in Skips or on flat back transportation vehicles. It the majority of cases setup is simply on the ground. Attach Hoses. All dewatering bags are typically designed to accommodate hoses up to four inches (6″) in size. Once these hoses are attached, your silt laden material can be pumped into the bag for dewatering. Pump Silt Materials into the Bag and allow Dewatering to Occur. As your materials are pumped inside the bag, water will begin to flow out of the bag. This occurs through the use of varying needle-punched fabrics which allows only water to flow out and prevents all other silt materials from leaving. It is worth noting that when the De-Watering Bags are full with silt and other Dirt debris they can be very heavy. With that in mind we do recommend that contingencies are made as part of the overall preparation on such jobs. Again a call to SSI Environmental will facilitate advice based on learned experiences. Types of Bags – Standard – Hi Flow – Pipe. Advice given on request. Eroded soil from construction sites is carried to streams and lakes where it causes (1) excess turbidity that harms aquatic life, increases water-treatment costs, and makes the water less useful for recreation; and (2) sedimentation that clogs drainage ditches, stream channels, water intakes, and reservoirs is not beneficial when not controlled. How Does Sediment Affect Ecosystems? No ecosystem is entirely free of sediment. In aquatic environments, its presence can threaten the health of ecosystems. Sediment can cloud the water, which in turn can negatively impact the plants and animals of these places.